Last fall, I joined a rec hockey team and played on ice for the first time since I was thirteen. Despite separating my shoulder in January, I had a blast. We kick things off again this season on October 2nd, but this afternoon I'm joining a scrimmage to shake off some rust. I can't wait to hit the ice again. There was no way I'd let another 21 years go by between seasons. Played 1 hour. Noticed lack of conditioning after 10 minutes. Saw the ice better, made crisp passes, had a few shots on net but didn't score. I can't wait until October 2. 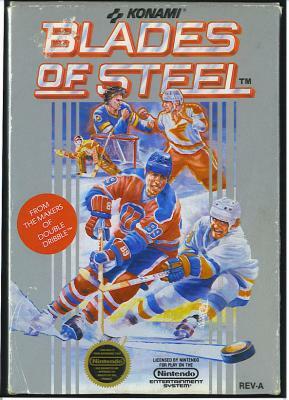 Wow, Blades of Steel...even to this day I cannot pass this game--meaning I did not with the finals.